My arrival in Indonesia: Dig or dive? During the flight to Indonesia in the beginning of December 2015 I read in my diving magazine Unterwasser about Bangka Island in the North of Sulawesi: Beautiful and diverse coral reefs just outside the famous Bunaken National Marine Park – less known, but very much worth going, especially if you enjoy small island life and would like to explore dive sites where hardly anybody has dived before. This tiny island of only 48 sq km is a hotspot of biodiversity. 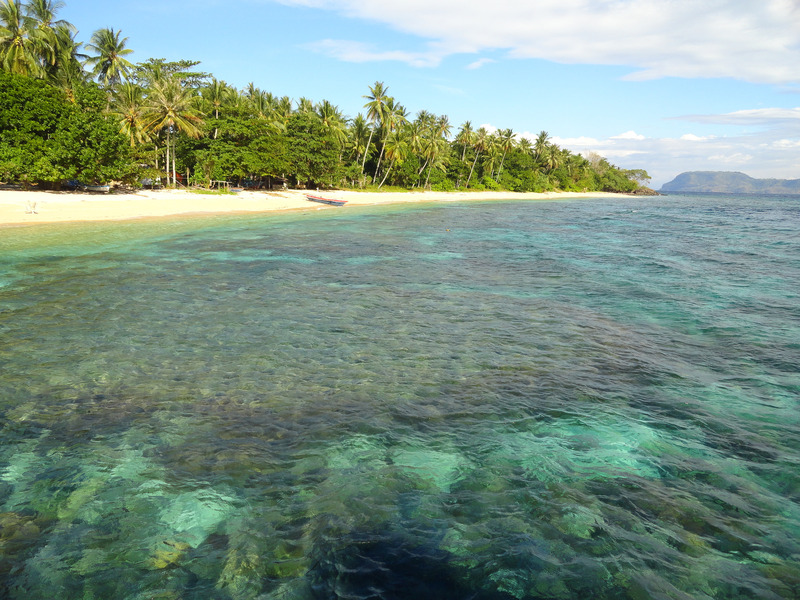 Perfect conditions for community-based ecotourism and conservation work how it is implemented in the South of Sulawesi by Wakatobi Dive Resort since more than 20 years already. Unfortunately the reefs are not the only natural resource found in the region. “PT Mikgro Metal Perdana (MMP), an Indonesian subsidiary of Hong Kong based Aempire Resource Group, has been seeking licenses to extract iron ore from Bangka since 2008” (The Guardian, 3 April 2015). Even though a ruling of Indonesia’s Supreme Court in 2013 blocked further mining activities on Bangka the former Minister for Energy and Minerals, Jero Wacik, granted the exploitation license covering two-thirds of the island in 2014. Since then construction of mining and transportation infrastructure is causing direct demolition of reefs as well as indirect destruction via run-offs and waste products. The support campaign for the little diving heaven started immediately, but hasn’t been able to put a halt to the mining activities yet (read more on activism and diving around Bangka on Dive Advisor). This case in the country where we hope to stay for 2016 or longer not only brought together my two passions, diving and activism, but combined the issue of marine protection with the topic that kept me pretty busy in 2015. After we came back from St. Eustatius in June I started researching the global impact of European trade and investment policy on exploitation of raw materials for PowerShift e.V. and the campaign Stop Mad Mining. Finally the study has been published! In German though: Alles für uns!? 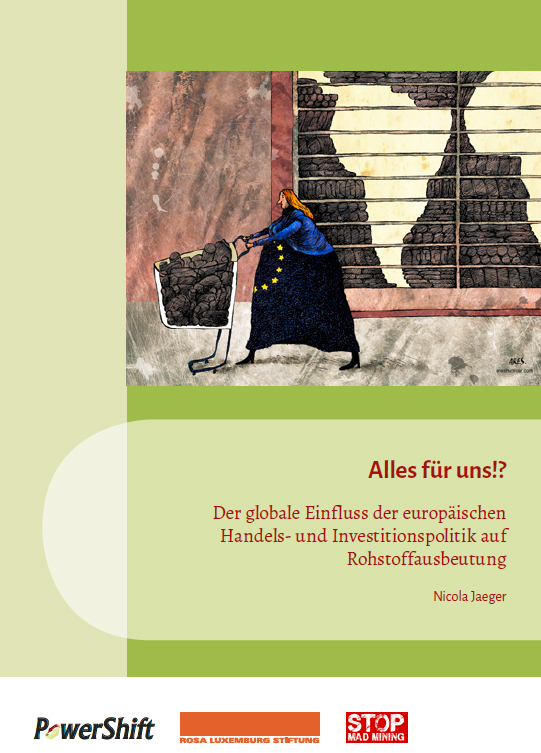 Der globale Einfluss der europäischen Handels- und Investitionspolitik auf Rohstoffausbeutung. Even though the EU calls her newest trade and investment strategy “Trade for all” it is clearly in the interest of big European corporations while democratic, sustainable, transparent and fair concepts of governing the natural resources from civil societies as well as Governments in resource rich countries are undermined. ISDS is a corporate weapon against public policies worldwide and is used to discipline states once a foreign corporation has invested in a country which signed BITs. But in the case of Bangka there was actually an Indonesian law prior to granting the exploitation license which prohibits mining on islands smaller than 2,000 sq km. Inside Indonesia writes: “Only weeks after the re-zoning, in December 2013, the Indonesian parliament revised Law no. 27/2007 to allow large-scale extractive industry investment on five small islands previously protected by small island conservation provisions – including Bangka. The revision was enacted very quietly.” Money talks, one could think. And in another mining case in Indonesia there is actually proof. During that same flight I read about a corruption case that would be debated in Indonesia in December 2015: “The speaker of the House of Representatives, Setya Novanto, stood accused of trying to extort $4 billion in shares from the local unit of the American mining giant Freeport-McMoRan” (The New York Times, 17 December 2015). The operation license for the company’s Grasberg mine is ending in 2021. 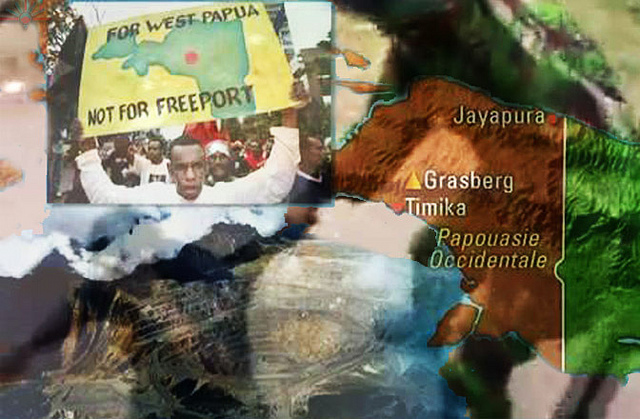 The controversial project in the East of Indonesia is the world’s largest gold mine and third-largest copper mine (collection on Grasberg mine by the London Mining Network). Mining friendly decisions on all levels are contrasting to the attempts to increase (eco and diving) tourism in the country. Digging and diving is a bad match. Or so I thought: A couple of weeks later on a diving boat in Komodo National Park I met an engineer who is working in the Grasberg mine. Strangely enough his holiday love affair was a NGO campaigner from Peru who needed a little break from fighting to keep roads, illegal settlements and the oil industry out of natural and indigenous reserves.